Made of fortified, long-lasting, high-grade polypropylene with rubber reinforcements, the guards will not chip, crack or tear and will withstand extreme temperatures. 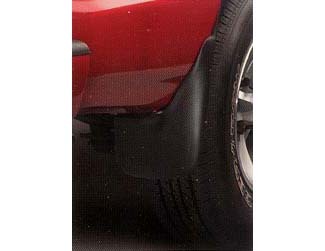 The molded splash guards cannot be used with fender flares and only the rear guards can be used with running boards. Packaged in pairs.